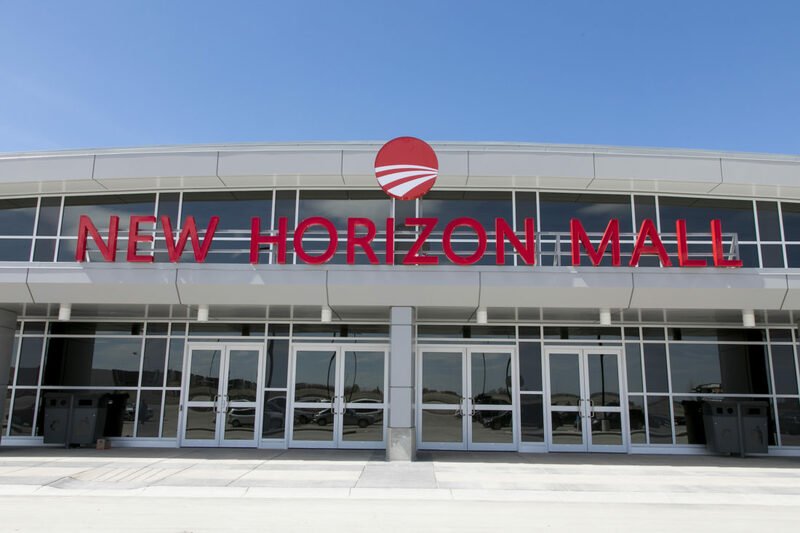 March 20, 2019 – Balzac, AB – New Horizon Mall in Balzac announced today the official signing of Best Shop, described as ‘the Chinese Wal-mart – without the groceries’, as a major anchor tenant set to open in late Spring. The addition of the 15,000-plus square-foot Best Shop store brings the total number of stores in the steadily growing mall to 73, with 12 more stores and six new food court additions set to open soon. Authentic Shawarma and ShareTea are very close to opening with Mr. Pretzel, RPM Shawarma King, Grill Platter and Hungry Choice in the planning and permitting stages. Best Shop fits the multicultural theme of the mall and will bring many new Asian products to market that have never before seen by most local shoppers. For example, how about a fully equipped Mahjong table? Recently featured in the Hollywood movie, Crazy Rich Asians, the strategy-based game featuring Chinese symbols on tiles was and is gaining popularity in Western society. Apartment dwellers might be interested in the smallest washing machine ever seen for around $100. Brands like Haier and Midea are extremely popular in China but literally unheard of in Canada. There will be a wide variety of Asian health care and beauty products, clothing, kitchenware, household items and appliances and many other items from Asian manufacturers. When Best Shop opens in New Horizon Mall in late spring. It will be the first Best Shop west of Ontario and just the second Best Shop store in Canada. The other being located at Pacific Mall in Markham, Ontario, also developed by Torgan Group. 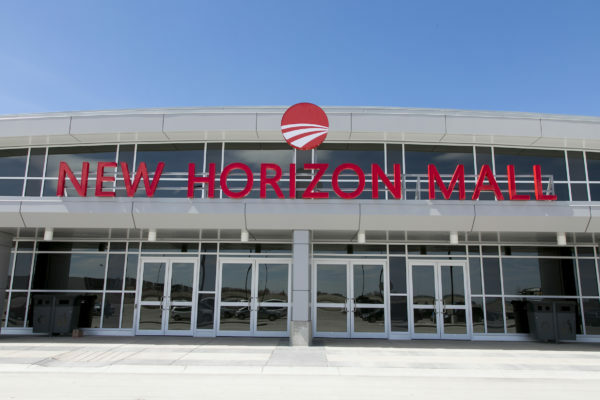 Unlike other malls which are occupied primarily by large corporations and chains, New Horizon Mall is a collection of small businesses, family enterprises and local entrepreneurs bringing unique products and services to the Calgary region. For the first time ever in Alberta, each retail store is purchased not leased. Stores may be either owner-operated or leased to a retailer by the owner. From Chinese sportswear to Korean skin care products; Alberta honey to Australian terrariums; from Turkish undergarments to Indian jewelry and an international food court with seating for 300. The mall also features a high tech main stage with big screen live video feed and a diverse array of entertainment and events throughout the year. New Horizon Mall is located 20 minutes north of downtown Calgary on the QE II Highway and directly across from CrossIron Mills in Rocky View County. First Day of Spring – Wednesday March 20th 1-3pm – Celebrate the first day of Spring at New Horizon Mall and receive a free packet of flower seeds to start the season blooming. Spring Free Family Event – Saturday April 6th 1-3pm – NHM is hosting a Free Family Event featuring a performance by Masks International Show, a Chestermere company that transforms art through innovative productions using elaborately designed masks, plus craft stations, coloring contest and more. Tala Luv’z iN-Tune Variety Show Saturday April 13th 4-7pm. TalaLuv’z Radio, Calgary’s Filipino radio station, presents iN-Tune, a night of live music performed by Alberta artists. Event to feature local celebs, social media bloggers, artists and guest speakers. Easter Party with Dueling Piano Kings – Saturday April 20th 1-3pm – Easter Hunt featuring a Family Sing -A-Long with special guests Dueling Piano Kings, winner of “Best Entertainer in the 2017 Calgary Event Awards.